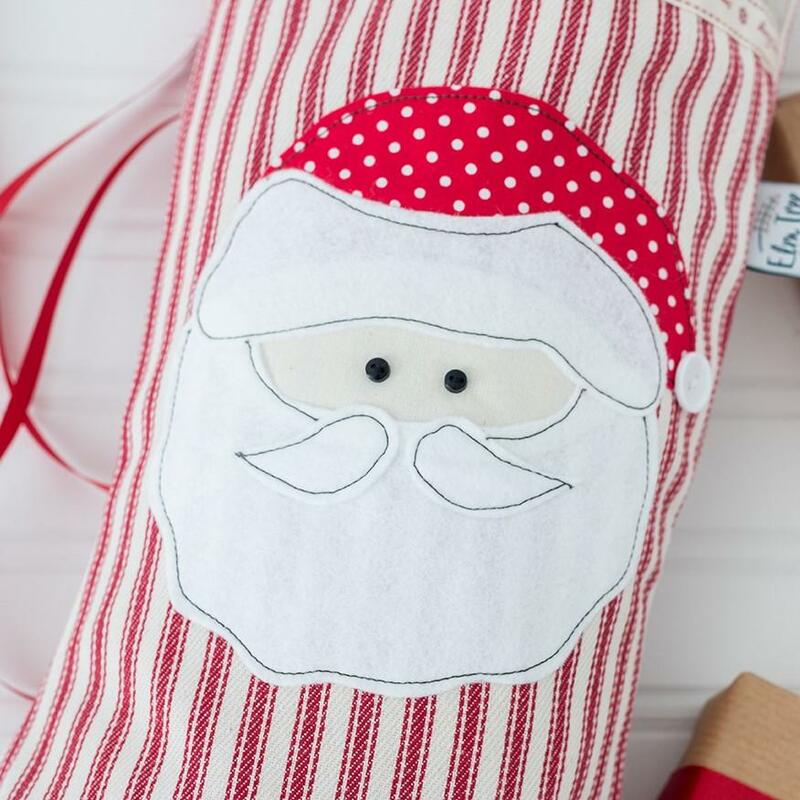 Each stocking is handmade to order, and features a wonderful appliqued Santa made from wool felt and linen. 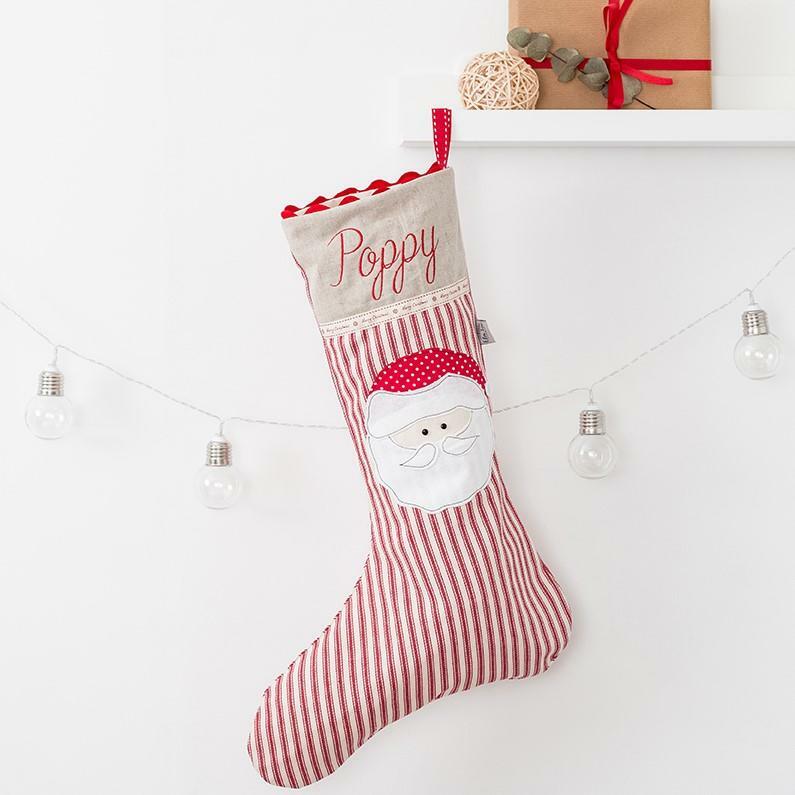 Each stocking is made to order. 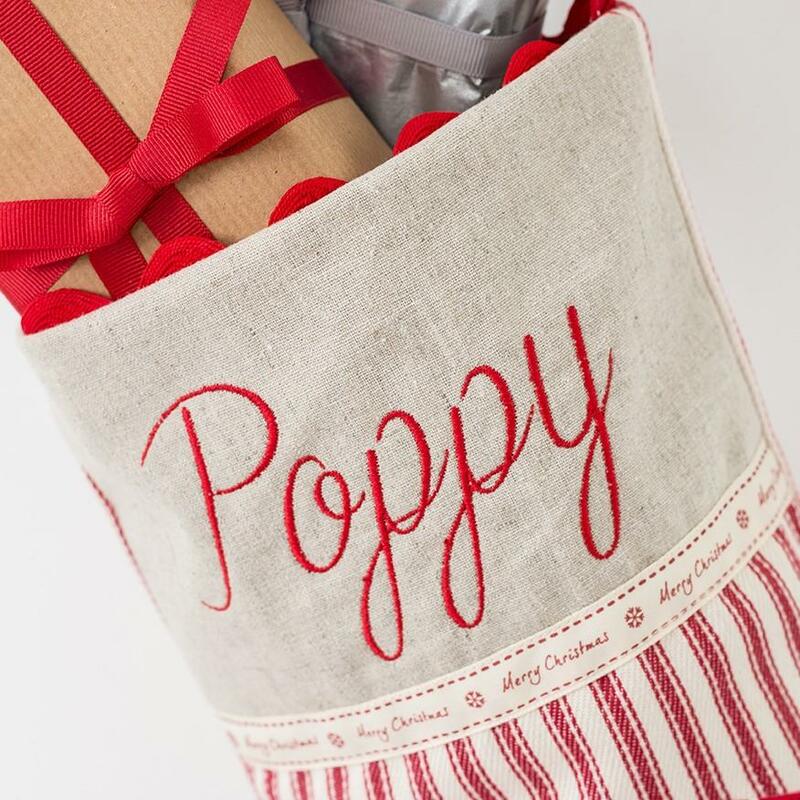 When ordering, please make sure that you type the name exactly as you wish it to appear on the stocking, as we cannot exchange or refund personalised items unless faulty. Made from 100% cotton, we recommend that you wipe clean with a damp cloth due to the different fabrics used in this item.